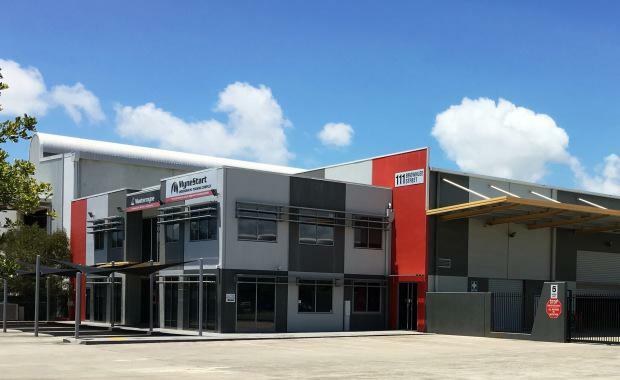 National concrete pumping contractor The Meales Group has cemented a long term lease on a modern warehouse facility on a substantial site at Pinkenba in the Australia TradeCoast precinct in Brisbane’s east. The complex which includes a 1700 sqm warehouse and a 285 sqm commercial office over two levels at 111 Brownlee Street, Pinkenba, was secured through Ray White Industrial Milton’s Paul Anderson and CBRE Brisbane’s Nick Witheriff and Dan Munnich. Mr Anderson said the approximately 13,000 sqm site is in a superior location within the fast growing and dynamic TradeCoast precinct and was ideal for The Meales Group, which has branches throughout Australia and a head office at Kunda Park on the Sunshine Coast. “This modern tilt panel construction warehouse complex was initially purpose built for a similar user about 10 years ago,” he said. Mr Witheriff said the appetite for modern buildings is at the highest levels currently, especially in this demographical TradeCoast region close to the Brisbane Airport. “The shortage of land availability for developers is forcing the tenants to act quickly when the right property becomes available,” he said. Mr Munnich said: “The tenant was looking at another site nearby when the opportunity at Brownlee St became available. The tenant moved quickly and the deal was agreed in 24 hours. The Meales Group has taken out a 5 + 5 year lease at a net rental of $400,000 per annum.